Google unveiled the Pixel 2 & the Pixel 2 XL a couple minutes back. 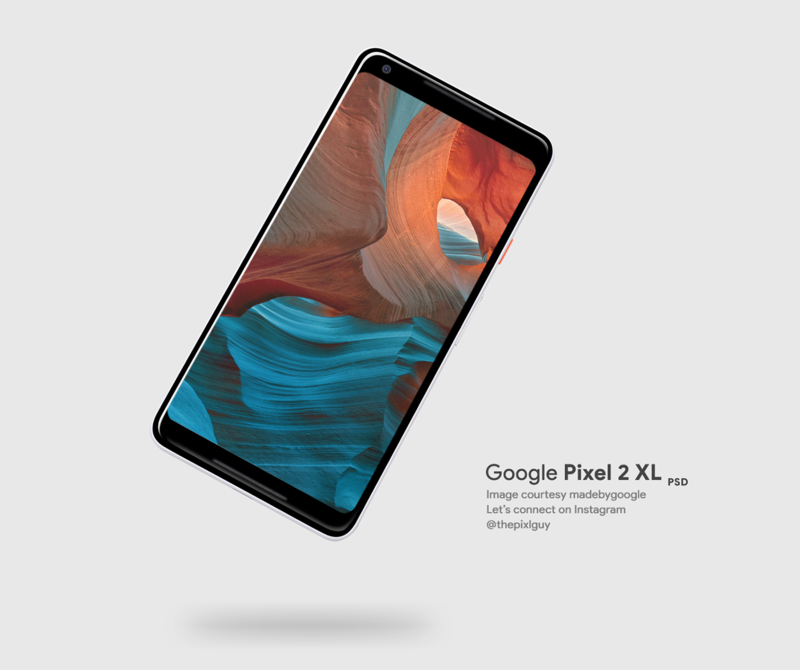 Here is a Pixel 2 XL PSD Mockup to showcase/present your projects on the new device. It's my first attempt so any feedback is appreciated. I took the device image from here and worked on it in Photoshop for ease of use. Google Pixel 2 XL - the new phone made by Google. PSD Mockup.